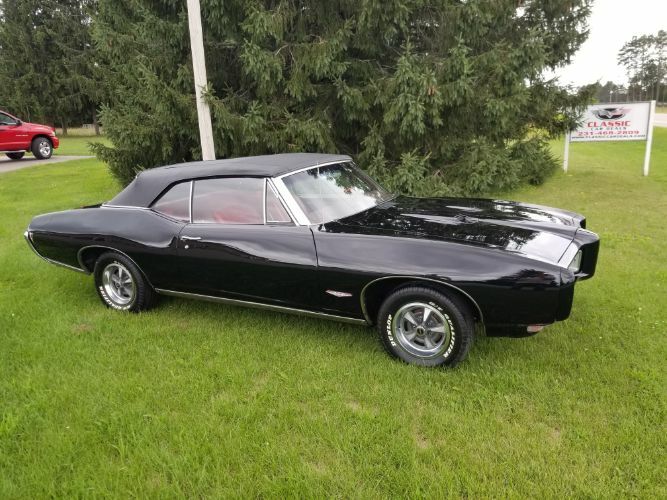 1968 Pontiac GTO Convertible that is in Showroom condition. GTO is powered by a Date Code Correct 400 and is backed by a Auto trans with His and Her Shifting. Everthing works as it should,no rust,solid body and frame.Car has PS and PB Drum. Comes with original rims and Orig Spare Tire and Jack. Ready for summer cruise There is NO Disappointments with this car. Very Please to sell this to a new owner. Financing and Shipping Available.